Nice Man BIG Van is a professional van hire and removals company, working with private and commercial clients. Based in Hove, Nice Man BIG Van operates throughout Brighton and the wider Sussex area as well as arranging removals to Scotland and Wales or even across Europe, where required. In addition to a full removals service including loading and unloading, the team offers everything from part load removals to secure storage for your possessions. Whether you need help picking up a piece of furniture you've bought online or the expertise of international piano movers, Nice Man BIG Van consistently goes the extra mile for their clients, with no job being too big or small. 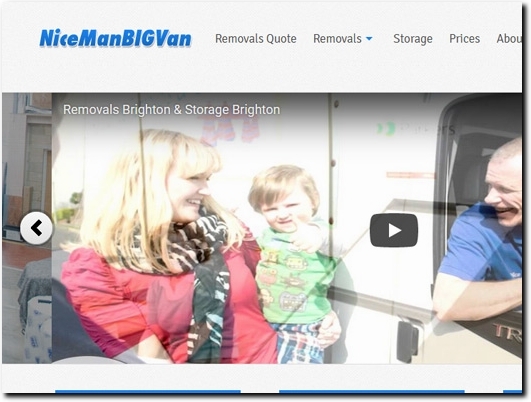 Nice Man BIG Van offers everything you need to get moving, including guides to van size, effective packing and everything you need to consider before moving. For a free quote, to read customer testimonials or for more information about storage and removals in Brighton or beyond, visit the website today. UK (Shoreham-by-Sea, West Sussex) based business providing removal and storage services. Website includes details of services provided, testimonials, terms and conditions, blog, associations, full contact details including company registration and VAT numbers.